[0:43] <plugwash> steve_rox, OOI where did you hear that? [0:50] <gordonDrogon> wroberts1, can you email me details of how it kills the USB please? [0:54] <gordonDrogon> yes - ethernet is on usb. [0:54] <gordonDrogon> is this wiringPi v1 or v2 ? [0:55] <gordonDrogon> ok. hang on ... there has been some issues in v2 to do with when I added in the code for physical pin numbers. [0:57] <gordonDrogon> ok. when in Sys mode, you must use the BCM numbers, so you need to refer to it as pin 25. [0:59] <zleap> gordonDrogon, you going to exeter lug meet tomorrow ? [0:59] <gordonDrogon> zleap, unlikely. but it depends on how much baking I've left to do for Saturday. [1:00] <gordonDrogon> I have 100 cup cakes to make and 3 cakes to decorate. [1:00] <gordonDrogon> and I won't be at Paignton on saturday. [1:11] <gordonDrogon> it's been a bit of a bugbear those pin numbers - I had so many complaints in the early days about it not supporting, then it was supporting, then ... etc. [1:11] <gordonDrogon> the sys mode expects the pins to be pre-exported in /sys/class/gpio and as you need to use the bcm_gpio pin numbers to do that, I kept that scheme in sys mode in wiringPi. [1:18] <gordonDrogon> just look at the schematic..
[1:19] <gordonDrogon> I think the easy answer is all of them other than the ones mentioned on the gpio connecto pin-out diagrams! [1:20] <wroberts1> so, if need to change the callback function with a 2nd call to wiringPiISR(), do i need to clear something out first? [1:20] <gordonDrogon> hm. never thought of that, however the function list is indexed by pin number, so not really. [1:21] <gordonDrogon> you will "lose" a file-handle as they're never closed, and it will be re-opened. [1:22] * gordonDrogon checks the code..
[1:23] <gordonDrogon> that's an easy fix - will be in the release - it will close it properly if you ISR a 2nd function on the same pin. [1:24] <gordonDrogon> I timed it at 66K/sec. [1:25] <gordonDrogon> hm. obviously out by a zero. [1:26] <gordonDrogon> there's a program in the examples directory that'll do the timing - but you need to connect a wire between 2 GPIO pins. [1:27] <gordonDrogon> oh - that's going to cripple performance. [1:27] <gordonDrogon> max. SPI accesses is just over 8K/sec. [1:28] <gordonDrogon> there is work being done on it, but I'm not sure what. [1:29] <gordonDrogon> when I did some tests, the best I could get (sampling an A/D, needing a 2-byte exchange) was just over 8K/sec. [1:29] <gordonDrogon> I think they drive it outside the kernel - so it could well be faster - at the expense of cpu burning. [1:30] <gordonDrogon> I just call the kernel to handle it all - which it does via DMA, etc. [1:30] <gordonDrogon> it just seems that the setup time is high. [1:43] <gordonDrogon> that's .. er, a lot... but I wonder if it's something to do with python? 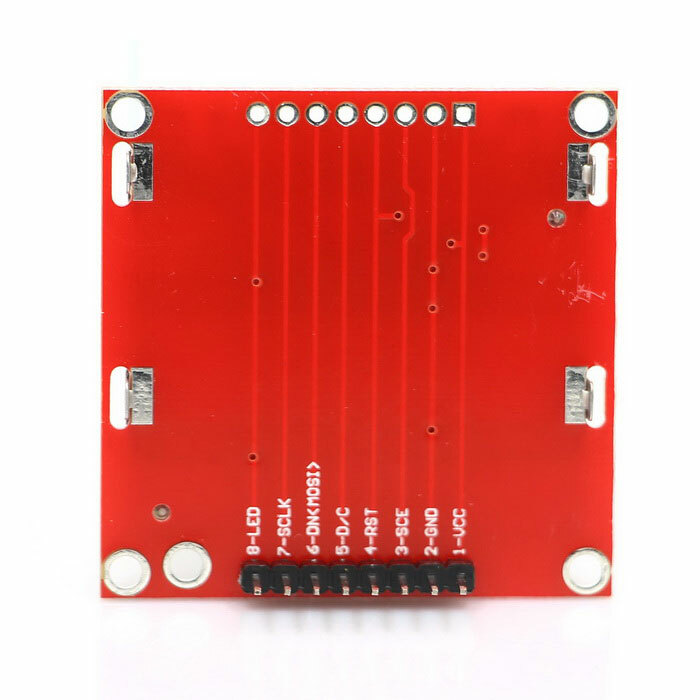 [1:45] <yeik> anybody know the default clock rate of the i2c pins? [1:45] <gordonDrogon> however what I do know is needed is that I need to go to bed! [1:45] <yeik> gordonDrogon, are you sure? citation? [1:46] <gordonDrogon> yeik, google it yourself. I write code to change it, I know. [1:47] <yeik> well, i was having issues accessing data from pcf8574 and when i changed the baudrate of the i2c device it fixed it. [1:50] <coolty> gordonDrogon: Any way to "upload" the bootloader via xmodem or something on linux to the Picaso displays? [1:52] <yeik> gordonDrogon, is there a way to test/show the clock rate? and how do you change it in code? [2:23] <Passion_ltc> hey guys, i got a pi but i don't have internet. it's connected via lan. i have arch linux installed. [2:24] <Helldesk> hmm... looks like I just found what the ajax uses as a data source, I can scrape that! [2:30] <Helldesk> Passion_ltc: problems bringing up the lan? [2:30] <Helldesk> can you ping anything on the local network? [2:38] <pksato> Passion_ltc: and, network have a dhcp server (a home router)? [2:38] <Passion_ltc> pksato i have a router. and it should have dhcp activated. [2:39] <pksato> rpi have a arch? [2:40] <pksato> I dont know arch. [2:40] <Passion_ltc> helldesk, where you added one line? [2:40] <pksato> Passion_ltc: nic led status are lit, on rpi and router? [2:41] <pksato> some arch bug? [2:42] <pksato> if see, link ok , its is connected. [2:43] <pksato> or appropriate commando on arch. [2:43] <Passion_ltc> same as dhcpcd? [2:43] <pksato> or, configure by arch way. [2:45] <Passion_ltc> but i don't know what the problem was..
[2:45] <pksato> some arch miss conf. [2:46] <pksato> its is for raspbian. [2:47] <pksato> if is new on Linux, we recomend to use raspian. more people use it. [2:47] <Helldesk> how come there are so many flavours of debian and debian-like for the pi? [2:49] <pksato> gentoo is not for new users. [2:50] <plugwash> Helldesk, well debian armel was basically the first thing that was run on the Pi because it's very commonly used in the arm community but it really doesn't take advantage of the Pis hardware so we created raspbian. [2:50] <pksato> can be used, but, need more insight. [2:52] <Helldesk> plugwash: I see - does raspbian use debian repos as-is though? [2:53] <plugwash> Basically we take source from debian and rebuild it with different compiler defaults. [2:55] <Caine> Not sure if this is the right place for it, but I'm having an awful time trying to get my EW-7811Un wifi adapter to work with my Raspbmc install. I get "wlan0: link is not ready" in the logs when I insert the adapter. The set up stage in the installer seems to have configured everything in /etc/NetworkManager/system-connections , but I'm not sure the module is there for this adapter. [2:55] <Caine> anyone have any clues as to how I might go about troubleshooting this? [2:56] <Helldesk> so... whereas I can ask the folks at #debian for advice on wheezy/squeeze/whatever, who maintains raspbian? [3:02] <Passion_ltc> okay guys. thank you for your help. :) I'm going to sleep now. see you. [3:14] <Helldesk> because it exists or isn't available? [3:28] <TAFB> anyone know around what time axion hangs out on here/has anyone seen him recently? [3:38] <ring0> considering you're just testing lxde, would you set memory_split to 256 or a different value? [4:09] <MrTrick> Has anyone here set up their RPi to do static IP fallback? [4:09] <MrTrick> eg in windows you can set up an adapter with "Alternate Configuration"... if DHCP fails, then use this static address. [4:24] <mattwj2002> how are you pksato? [4:25] <mattwj2002> why are you bored pksato? [4:27] <pksato> on orignal box. [4:27] <mattwj2002> rev B pksato? [4:28] <pksato> Model B, Rev 2 have 512MB. [4:28] <Ownaginatious_> Are there any resident experts on basically everything to do with the Raspberry PI here, or should I be checking somewhere else for help? [4:28] <pksato> Model B, Rev 1 have 256MB. [4:29] <ShiftPlusOne> Ownaginatious_, just ask the specific question you need to ask. [4:29] <pksato> Mobel A is a Rev 2 board. with only 256MB and no USB HUB+NIC. 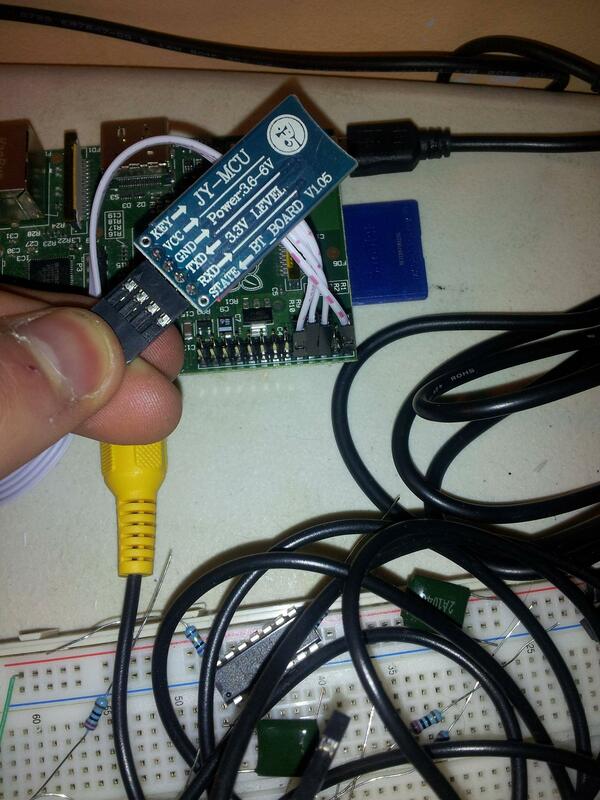 [4:30] <pksato> Ownaginatious_: I never used serial console on rpi. I dont have adequate level converter. [4:31] <ShiftPlusOne> Ownaginatious_, does it use 3.3v logic or 5v logic? [4:31] <pksato> but, dont have flow control, need do instruct terminal emulator to use software flow control. [4:31] <ShiftPlusOne> Ownaginatious_, should be fine then. Go on. [4:32] <ShiftPlusOne> You just need gnd connected to gnd, tx to rx and rx to tx. [4:33] <ShiftPlusOne> What are you doing in software so send information? [4:33] <pksato> ok, you have a bt conneted on RPi, and a serial over bt, and setup it as tty terminal on inittab? [4:34] <pksato> usb bluetooth dongle. [4:34] <pksato> or a rs232 to bluetooth? 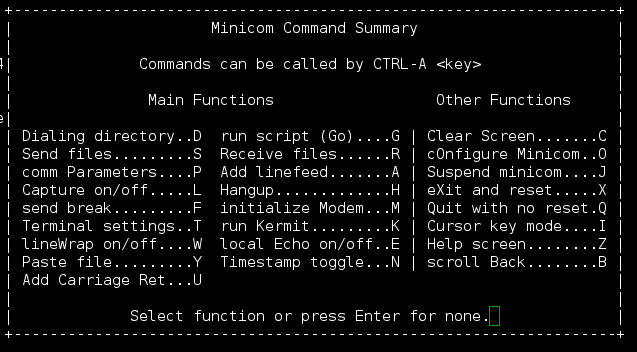 [4:34] <ShiftPlusOne> Ownaginatious_, did you take the necessary steps to create a serial tty in arch? [4:36] <ShiftPlusOne> yup, that should do it. [4:37] <ShiftPlusOne> since the one I am using gets power from usb instead. [4:38] <ShiftPlusOne> Do you have anything else you could test? Like a standard 3.3v uart -> usb thing? [4:39] <Ownaginatious_> Are there any tests I could do on the RPi to make sure its hardware is working? [4:40] <pksato> TX and TX is 3v3? [4:40] <pksato> RX to TX, and TX to TX? [4:40] <pksato> RX to TX, and TX to RX? [4:42] <pksato> on module, inter conect TX to RX. [4:42] <pksato> now, any send, can be recieved. like eco on terminal emulator. [4:42] <Ownaginatious_> Ya, just tried it now. That works. [4:43] <pksato> rpi have /dev/ttyAM0? [4:45] <Ownaginatious_> I need to disable the console and TTY? [4:45] <pksato> to test uart on rpi. [4:47] <Ownaginatious_> Would that command be sufficient for testing? [4:48] <pksato> I think so. [4:49] <Ownaginatious_> How do I do that? [4:53] <pksato> crtl+a O "Serial Port Setup"
[4:53] <Ownaginatious_> I set it to "yes"
[4:53] <Ownaginatious_> How does this program work exactly? Do I just type into the nothingness? [4:54] <pksato> if interconnect TX and RX, you get that you type. [4:56] <Ownaginatious_> They didn't change where the TX/RX pins are on older boards, did they? [5:16] <\\Mr_C\\> how is it that it can stillw rite with the LOCK switch on the memory card? [5:16] <kaste> probably just a hint that your os ignores? [5:17] <kaste> maybe, I haven't opened one yet. [5:17] <Ownaginatious_> Hmm... if I can't get anything out of tying my TX/RX lines together, is it safe to assume my serial UART is defective? [5:18] <NullMoogleCable> so im messing around with getting a litecoin miner to compile on my rpi. it is haveing trouble with finding libcurl-dev. how can i go about installing this package? [5:25] <coolty> but if you were using an ASIC miner at the same power.... 100x the coins! [5:28] <NullMoogleCable> has anyone made a pi i2c network yet or spi link? [5:32] <NullMoogleCable> up to 3.4 Mbit/s. [5:51] <Ownaginatious_> Should I just go buy a new RPi? [6:28] <Scramblejams> Hi all. My media center box just died and I'm thinking of replacing it with a raspberry pi running xbmc. I've heard that the menus can be slow, that there are issues with video acceleration, etc. Can anybody give me a feel for what it's like to live with xbmc on rpi? [6:29] <zarac> Scramblejams: Do you enjoy hacking? [6:32] <Scramblejams> zarac Oh sure, I admin lots of Linux servers, Linux has been my full time desktop OS since '98. I don't have a problem with that, but I'm looking for something that can be made to work well, and I don't know whether rpi and xbmc are quite there yet. [6:33] <Ownaginatious_> Have you used XBMC much before? [6:33] <Scramblejams> a little. I'm a Boxee refugee. [6:33] <zarac> I have no personal experience but my understanding is that it works quite well and is improving fairly dramatically. [6:34] <Ownaginatious_> I'd honestly recommend an AppleTV. You can crack it to read SMB shares and the interface is a lot nicer than XMBC. [6:34] <Scramblejams> Ownaginatious_: Yeah I was pretty happy with Boxee until the company went off the rails. [6:34] <Scramblejams> Ownaginatious_: No, AppleTV's codec support is insufficient for me. I'm much happier with VLC running the show under the covers. [6:35] <Ownaginatious_> Hmm, that's true. [6:35] <Ownaginatious_> I'm guessing nobody has hacked the AppleTV to support more codecs? [6:35] <Scramblejams> Ownaginatious_: Don't know, but I also have a history of running Linux on Apple hardware and it was always precarious and fragile. [6:35] <Scramblejams> Too much reverse engineering having to take place. [6:36] <Scramblejams> Okay, so I guess nobody here's actually running XBMC firsthand on an rpi then. [6:36] <Scramblejams> Ownaginatious_: As far as I know the hardware decoder handles all that. [6:37] <Scramblejams> Ownaginatious_: From watching the hardware decoder run on my last media center pc, it wasn't a memory intensive thing. [6:37] <Scramblejams> Ownaginatious_: Oh, shouldn't be a problem if you've got the network bandwidth. [6:37] <Ownaginatious_> Hmm, it might be okay. [6:43] <NetBat> morning Pi pickers. [6:44] <NetBat> and how are we on this glorious morning? [6:46] <NetBat> Oh dear. What's "UART" again? [6:47] <NetBat> SwK: Really? Why call it "UART" then? [6:48] <NetBat> FwK: Yes, because that was going to be my next question, why not clal it "RS232". [6:49] <MrTrick> NetBat: because it isn't. [6:49] <xrosnight> what GUI camera software do you use on linux ? [6:49] <MrTrick> You could make it RS232 with some level shifters and etc... but as it is it's not RS232. [6:50] <Ownaginatious_> The UART can't be disabled in the firmware somehow, can it? Because even when I tie RX/TX together, I don't receive anything. [6:50] <NetBat> What it is that makes them serial? [6:51] <xrosnight> Ownaginatious_: but its just like zag zag very slow. how to change the FPS of the webcam? [6:51] <NetBat> Ah yes, as the name suggests. [6:52] <NetBat> How is data transmitted via a USB port? [6:52] <xrosnight> Ownaginatious_: do you know any desktop recoding software? [6:53] <Ownaginatious_> It's transmitted serially on a USB port, hence the acronym USB for "Universal Serial Bus"
[6:54] <\\Mr_C\\> is the cubieboard better than the raspberry pi? [6:57] <RiXtEr> The Raspberry Pi has much better specs than my brand new computer that I bought in 98..
[6:58] <SwK> Ownaginatious_: thats part of it, plus the amount of data you can cram down a single line now is vastly more then??? i mean really how much data can they cram down a single strand of fiber now? [7:00] <SwK> RiXtEr: did you ever pry the plastic off one of those P3s? [7:00] <RiXtEr> SwK, YES! It was a reiser card with a solder'd on processor! [7:05] <NetBat> there you are then. [7:05] * RiXtEr is out. [7:06] <NetBat> fwk: How long ago was that? [7:09] <NetBat> FwK: What sort of computer where you using wit this modem? [7:11] <NetBat> fwK: Progrmamingis fun on old machines. [7:12] <SwK> the worst was most of the time you had to run TRSDOS on the thing (usually referred to as TRaSh DOS)??? [7:12] <NetBat> fwK: What languages did you use? [7:19] <Ownaginatious_> I dislike that language. [7:21] <NetBat> What's the problem with Pascal? [7:22] <Ownaginatious_> The problem I have with it is its very lacking in documentation. Makes sense since it kind of died before the internet became a thing. [7:22] <Ownaginatious_> "Compiler Design" ? [7:23] <NetBat> Well, Pascal wasn't designed for tha tpurpose. As a matter of fact, it was always meant to be a teaching tool. [7:23] <Ownaginatious_> Well, all of our notes were paraphrased from that lol. [7:23] <Ownaginatious_> I think the main problem is with how school is structured these days. [7:24] <Ownaginatious_> I have this feeling back in the day you had fewer classes, but you learned them much more in depth. [7:26] <BlueMint> Hi, would a 10 dollar Sandisk MicroSD 8GB SDHC memory card with an adapter work in the pi? [7:54] <xrosnight> i hv downloaded OpenELEC, XBian, Raspbmc ( Which one to use??? ) Any Ideas? [8:03] <benonsoftware> Has anyone here used a service like https://www.edis.at/en/server/colocation/austria/raspberrypi/ or somwthing from someone else? [8:06] <xrosnight> benonsoftware: what's colocation? [8:10] <xrosnight> they said "The agreement is concluded for an indefinite period. We will not send the unit back after 1 week ;-)"
[8:11] <MrTrick> nifty idea... but why not just ship SD card, or .img file? [8:11] <MrTrick> and pay for them to buy you one. [8:12] <benonsoftware> A "local" datacentre here is doing that in the next couple weeks so I might give it a ty with my RPi. [8:19] <xrosnight> benonsoftware: so you are in AU? [8:20] <benonsoftware> xrosnight: Yeah, Micron21 is the DC. [8:21] <xrosnight> i am just wondering what they are going to do with RPi in the very first week as they mentioned. [8:22] <NetBat> Mr_P: hallo Austria. [8:26] <NetBat> What do you do? [8:39] <xrosnight> Triffid_Hunter: how did you get that? [8:40] <xrosnight> Triffid_Hunter: damn the comp closed..
[8:41] <xrosnight> The first competition will be hosted on Twitter from 4th March 2013 and will close on the 28th March 2013. [8:41] <xrosnight> when the 2nd round? [8:58] <ShiftPlusOne> Another distro is always a good thing, and android has a lot of software which would benefit the pi. Though I find it strange how people want to run a mobile os on everything. Doesn't seem to fit the purpose. [8:58] <ShiftPlusOne> Doesn't wayland already work on the pi? [8:59] <ShiftPlusOne> Do you really need all the overhead that android introduces for that though? [9:03] <ShiftPlusOne> It's not either one or the other. I haven't been following the whole linux mobile thing, but aren't there some great native linux interfaces for mobile phones already? From the nokia days and the maemo folks? [9:09] <ShiftPlusOne> What do you mean? [9:15] <ShiftPlusOne> Ah, so sailfishos looks like exactly the sort of thing I was hoping to see. [9:25] <MrTrick> anyone here installed ROS on their RPI? [9:26] <qlex> and now trying to change permission and users to all folders. [9:27] <qlex> Jck_true: anything i can do now ? [9:28] <qlex> what is the line i should then add to fstab ? [9:28] <qlex> and what is the command to format it as ext4 now ? [9:32] <qlex> but locally also ? [9:37] <Jck_true> 500MB harddrives? Does 90' era harddrives still spin? [10:38] <gordonDrogon> morening Pi peeps. [10:48] <gordonDrogon> another day in the kitchen for me. [10:48] <Coffe> is there any rfid solution tested for rpi ? [10:50] <Jck_true> Coffe: Read only or? [10:50] <Coffe> Jck_true: that would be a start, but having it for programming would be nice. [10:57] <gordonDrogon> but they work and save the hassle. [10:58] <gordonDrogon> Hm. they're not that expensive: http://www.skpang.co.uk/catalog/rfid-reader-id2-125khz-p-498.html ?20 ..
[10:58] <NetBat> btw, people, is there a limit on capacity on SD cards that will work with Pi? [10:59] <gordonDrogon> I always fancied having an electronic door bolt rfid activated at home..
[11:04] <NetBat> Triffid_Hunter: gday mate. That's interesting. Is there a reason for that? [11:05] <Jck_true> NetBat: "limit of 32 GB for SDHC cards in the SD 2.0 specification." [11:07] <Jck_true> "n 2006, A-DATA announced a Super Info SD card with a digital display that provided a two-character label and showed the amount of unused memory on the card." [11:07] <NetBat> Taht sounds cool! [11:09] <NetBat> Triffid_Hunter: yes, I was aware of the mem addressing limitations, but wasn't sure if it was a more common feature in more mainstream kits. [11:10] <NetBat> Jck_True: the other dream product would be a talking mother board. I believe there was one out about 10 years ago or so, but it sort of disappeared into obscurity. [11:13] <NetBat> jck_True: what with the way people drive with all four wheels on the ground I don't think freedom of the airways would be such a great idea. [11:16] <BlueMint> Hi, I have a class 10 SDHC 8GB card. No matter what I do, I can't put the image onto it ): ANyone got some other methods from the normal win32 disk manager? [11:17] <NetBat> Jck_True: you know what? You may be onto something there -- an RF/RC aircraft with the Pi onboard. [11:18] <Jck_true> BlueMint: What happens when you try? [11:18] <BlueMint> Jck_true, oh the errors I get.. Error 5, error 121, error 117. You name it! [11:19] <Jck_true> BlueMint: Tried formatting your card first? Using Windows or maybe an odd camera you got? [11:48] <BlueMint> COuld someone please help me? [11:49] <BlueMint> okay, mind talking me through that? Do I get a usb and get unetbootin or something? [11:50] <BlueMint> is this in the windows environment, or am I botting into it? [11:52] <ShiftPlusOne> Yeah, I'd use something like unetbootin. [11:53] <BlueMint> Do many people find it does not work? (win32diskimager)? [12:00] <\\Mr_C\\> if im making a power cut off switch, which two would be a better choice to use as the main two wires? the black/ground, or the red/+5V? [12:01] <ShiftPlusOne> Triffid_Hunter, does it make a difference? [12:01] <Jck_true> No wait! The green wire! [12:05] <ShiftPlusOne> Ah, I don't quite get ground loops. [12:07] <Jck_true> ShiftPlusOne: Having ground from two differnt power supplies won't be the "same ground"
[12:11] <ShiftPlusOne> Yeah, I understand the idea, I am just havind a hard time fully understanding how independent supplies work. I understand that they may both be 5v, but at different potentials, for example. But I am a bit iffy about what happens when you connect the two gnd signals. [12:17] <ShadowJK> And yet somehow a huge amount are sold that don't even have a physical pin for earth connection? [12:17] <BlueMint> So, I have power in, HDMI in, keyboard in, SD card in and a red light lights up. What now? [12:17] <ShiftPlusOne> ssibly fry something? [12:17] <ShadowJK> so they don't know which is neutral and which is phase. [12:20] <ShiftPlusOne> Alright, thanks, that all makes sense. [12:44] <ShiftPlusOne> Which uni did you try anyway? [12:45] <ShiftPlusOne> Well I figured that much, heh. [12:56] <BlueMint> Triffid_Hunter, do you live near the sutherland shire? [12:57] <BlueMint> I'm at that point where I'm willing to pay for someone to put the OS on this for me..
[13:00] <jelly1> trouble using dd? [13:11] <BlueMint> Is there another alternative then burning the image onto the SD? Maybe a network thing? [13:12] <jelly1> BlueMint: after you flashed it, what did booting it do? [13:14] <BlueMint> jelly1, how do I tell? [13:14] <jelly1> BlueMint: insert it to laptop..
[13:14] <Jck_true> Open it on windows - See if there's a "config.txt"
[13:15] <Jck_true> Windows is awesome! [13:17] <jelly1> BlueMint: anyway is it there? [13:19] <BlueMint> "The volume does not contain a recognized file system"
[13:20] <jelly1> BlueMint: there are two new labels right? [13:21] <jelly1> ShiftPlusOne: but what if he wants archlinuxarm instead of raspbian! [13:25] * ShiftPlusOne has stumbled upon a good scheme to get free sd cards. [13:30] <ShiftPlusOne> I am not sure if it works by default. Can you pastebin your /etc/inittab ? [13:33] <ShiftPlusOne> You don't want to comment it out. [13:33] <ShiftPlusOne> I think the guide may have said to do so if you wanted to use the serial for other, more generic purposes rather than a getty. [13:36] <frontendloader> are there any other better solutions to not being able to "get at" your pi when wifi is unavailable? [13:37] <ShiftPlusOne> in my opinion, serial is as good as it gets and very handy to have. [13:38] <frontendloader> would a crossover cable work? [13:39] <frontendloader> oh it's fancy enough to notice when it's wired "wrong"? [13:39] <ShiftPlusOne> Aren't all modern NICs? [13:41] <ShiftPlusOne> I think it's a part of autonegotiation (somebody correct me if I am wrong). But yeah, you can definitely use either cable. [13:43] <Triffid_Hunter> i always wonder.. when you connect two auto-mdix together, how do they decide which one swaps? [13:45] <ShiftPlusOne> Not sure if that answers the question, since I am not sure what the hell is going on there. [13:47] <Coffe> this weekend i have to do something with my other pi. [14:21] <xrosnight> anyone knows how to download youtube videos?? [14:22] <xrosnight> ShiftPlusOne: How ? [14:22] <ShiftPlusOne> you mean on a pi or in general? [14:24] <ShiftPlusOne> It doesn't work with youtube in chrome/chromium due to google's terms of service, but the firefox version works fine. [14:33] <frontendloader> isn't there a way to make the rpi connect to /any/ open wifi automatically? [14:33] <ShiftPlusOne> Not very smart, but it can be done. [14:33] <frontendloader> is it an /etc/network/interfaces option or a wpa supplicant thing? [14:34] <Hazza> are you running arch? [15:02] <Kakko> would someone point me to a good guide for beginners programming on the pi? [15:06] <jelly1> Kakko: find a regular programming book..
[15:08] <Kakko> i can program html, that wont help? [15:09] <Kakko> should i go with python, or? [15:10] <neilr> Why not use gcc on the pi then if you already know it? [15:39] <ShiftPlusOne> You have an excuse jakeri. I am not sure how IT_Sean managed to hit a w instead of a y though. [15:39] <ShiftPlusOne> I think you owe us all an explanation, Sean. [15:40] <ShiftPlusOne> Well that's just not very polite. [15:40] <Coffe> is there a easy way of modifining the std leds ? [15:41] <ShiftPlusOne> jakeri, and yes, that should be perfectly doable. [15:43] <ShiftPlusOne> Was just going through the service manual to check, but I am sure that's right. [15:44] <ShiftPlusOne> At least mine is. Did they all use springs? [15:50] <ShiftPlusOne> But yeah, it's an 8x8 matrix + the restore key. The service manual has a nice table of which key is where. [15:50] <jakeri> do you have it on pc or paper ? [15:53] <ShiftPlusOne> No idea, I only have a c64. Should be the same though. [15:57] <ShiftPlusOne> Are you talking about the new commodore that's just a pc in a commodore style case? [15:57] <jakeri> as i said the "the new c64 pc keyboard"
[16:31] <IT_Sean> My first thought would be to plonk in a monitor and keyboard, so you can see if it is actually freezing, or just dropping off the network. [16:33] <IT_Sean> well, i hate to say it, but, the way to answer the "are they freezing or just dropping net" question is to plug in a monitor and keyboard. [16:34] <IT_Sean> Either way, you would need to be On Site. [16:35] <KebabBob> I think it's possible it's just the thernet... But wouldn't it get online again after it failing? [16:35] <IT_Sean> well, that depends on why it is failing. [16:44] <daswort> hi i have problem with preparing the sd card. [16:45] <daswort> with both bs=4M and 1M, but i cant mount it on my netbook. [16:47] <daswort> the fs is "unknown"
[16:49] <AngryMutation> any ideas why it might be going so slow? [16:52] <rymate1234> AngryMutation: Server side issues? [16:55] <ShiftPlusOne> AngryMutation, what's your tp1-tp2 and polyfuse voltage? [16:57] <AngryMutation> ShiftPlusOne, not sure how do I check? [16:57] <ShiftPlusOne> Do you have a multimeter? [16:57] <Armand> I just thought.. headless Pi, what's the peak draw (mA) on start-up ? [16:57] <ShiftPlusOne> No idea then. [16:58] <Armand> I have no USB devices.. just power and network. [16:59] <AngryMutation> do I really need to go out and buy a multimeter just because my down speeds aren't as high as they should be? [17:00] <Satorin> Can anyone help me out with my question of wiring a Nokia 5110 directly to the RPi? [17:00] <Satorin> It runs on 3V so I should be able to wire it up to the GPIO pins directly. [17:01] <Satorin> I want to buy http://dx.com/p/140226 and http://dx.com/p/151650 and then wire it up directly to the GPIO pins without any breadboard or soldering. [17:02] <ShiftPlusOne> AngryMutation, no, not at all. [17:02] <Satorin> Would that be possible? [17:03] <IT_Sean> Satorin: what do you want to DO with it once it's wired in? [17:03] <Satorin> Display IP/MAC/Uptime and other basis system information. [17:03] <Satorin> There's a lib for that. [17:03] <Satorin> I do not have difficulty coding at all, but I'm horrible with electrical wiring and stuff. [17:04] <Satorin> All demos of the LCD use a breadboard somewhere. [17:04] <Satorin> But I'd prefer to just hook it up directly, I don't own a soldering iron. [17:04] <DeadEndRadio> so how are you going to connect it without soldering or using a breadboard? [17:05] <Satorin> Using cables. There are pins on the LCD itself. [17:05] <Satorin> I'm just not sure if that'll work - so I figured I'd ask here. [17:05] <IT_Sean> Do you know what kind of display it is? [17:05] <ShiftPlusOne> The LCD is designed for 5v though, isn't it? [17:06] <IT_Sean> i.e. what communication standard it uses? [17:06] <Satorin> No, it's 3v. [17:06] <Satorin> ^ This picture illustrates it. [17:07] <Satorin> "Since the PCD8544-chip and the GPIO pins of Raspberry Pi are designed to run at 3V3 and both have 3V communication levels there is no logic level shifter (e.g. 4050 like with Arduino) required." [17:07] <Satorin> This applies to the Nokia 5110 LCD. [17:07] <Satorin> The dealextreme page states "It uses the PCD8544 controller"
[17:08] <ShiftPlusOne> I think it should be fine, but I don't promise anything. [17:08] <Satorin> It's just that I'm horrible with the physical aspect of electronics, but would really like to connect a simple LCD for the sake of being able to stare at my uptime without having to SSH. [17:08] <Satorin> DeadEndRadio, it's not. It's stationary. [17:10] <Satorin> It would be pretty nice paying under 10$ and having a working LCD... without having to use soldering equipment. [17:11] <ShiftPlusOne> If you eat the lead or don't wash your hands after soldering, sure. [17:12] <Satorin> I prefer the 5110 over a 2x16 one. [17:12] <Satorin> Much more space. [17:12] <Satorin> And you can draw pretty much whatever you wish. [17:23] <n3hxs> Also check aliexpress.com for displays. [17:26] <buzzsaw> what did you do wrong? [17:35] <ShiftPlusOne> What client are you using? [17:44] <siamba> how long it takes to generate MPEG-2 license key? [17:45] <ShiftPlusOne> However long it takes for the person on the other end to get around to sending them out I suppose. [17:55] <saivert> has anyone had problems with bad contact for SD card? Raspbian said it couldn't mount the root device just now. then I took out the SD card, inserted it again and now it works. [17:56] <ShiftPlusOne> saivert, very common problem afik. Try blowing into the connector. [17:56] <IT_Sean> Could be that as well. [17:56] <IT_Sean> ShiftPlusOne: We call that "The Nintendo Fix"
[17:57] <IT_Sean> saivert: it should be fine. [17:57] <ShiftPlusOne> It definitely gets enough cooling. [17:59] <HattCzech> can anyone help me with some bluetooth keyboard issues on my pi? [18:00] <coffe> Hi. so sugestions for what to install on my second rpi ? [18:07] <ShiftPlusOne> ShadowJK, are you around? [18:37] <KayGridley> anyone able to help with what I think is a missing driver issue please? [18:37] <ShiftPlusOne> KayGridley, generally you just ask the question you want to ask and see if anyone can answer. [18:39] <ShiftPlusOne> Yes, generally in IRC you get bitten by asking to ask not just asking. [18:40] * IT_Sean puts up a sign reading "One question per day. 'can i ask a question?' counts as a question." [18:40] <ShiftPlusOne> Can you pastebin the full output of dmesg? [18:50] <IT_Sean> We'll be here. [19:02] <daswort> did the same with the arch image and everything worked. [19:03] <linuxstb> daswort: Does it work in the Pi though? [19:05] <linuxstb> Unless DHCP isn't working on your network. [19:06] <linuxstb> From when? The first few versions of Raspbian needed it enabling, but they changed it. [19:06] <linuxstb> Probably around October last year I think, maybe earlier. [19:10] <daswort> weird i resized the partition (boot) in gparted and it gets mounted in the background. [19:34] <daswort> why have all the files in /boot the name *.txt? [19:41] <daswort> but why? is windows confused without them? [19:49] <Satorin> The latest Raspbian has SSH on by default, right? [19:50] <Nimatek> Satorin: Yes, it does. [19:51] <HattCzech> what kind did you get? [19:51] <Nimatek> I was pleased by that fact when I set up mine a few days ago. Didn't want to connect a monitor. [19:53] <HattCzech> do i need to change the layout or something for it to work? [19:53] <HattCzech> buzzsaw: you don't trust bluetooth with rpi, or in general? [19:57] <advisor> could it be the psu, could the flash card be corrupted? [19:58] <IT_Sean> It could be a problem with the OS. It could be a corrupted SD card. It could be a squiffy power supply. [19:58] <Nimatek> That does sound like a hardware problem, especially with the overclocking. [19:58] <IT_Sean> it could be other things as well. [19:58] <IT_Sean> Nimatek: I doubt it. [20:05] <Undertasker> Anybody here familiar with tvheadend? [20:14] <ShadowJK> ShiftPlusOne; what's up? [20:47] <zastaph> can I run raspbian in virtualbox? i know i wont emulate ARM, but will it run on x86? [21:07] <vabi> is there any chances of software official fix for the crappy usb port (problems with wireless keyboards for example)? [21:10] <pksato> aca20031: parallel port? unload related modules? and get permission from kernel to use io range of pp port? [21:11] <aca20031> am I wrong to expect a wire connecting d1 and d0 to show input on d0 when I write to d1? [21:15] <saivert> I guess there really isn't a lot of effort put into fixing it by the foundation itself as it mostly works with wired keyboards of any kind and thus works as an educational tool. [21:15] <saivert> This is sadly a thing they didn't catch in the design process of the Raspberry Pi as it didn't go through rigorous testing like any other commercial product does. [21:17] <saivert> I'm currently using SSH and VNC to control my Raspberry Pi as I can't be arsed to have separate input devices for it. [21:17] <vabi> yes, but it's repairable i think, it's some software hacks that would work, i like my rasp, i'm using ito to make my crt smart tv :D plus gaems, so it's not so big pain for me. [21:35] <Helldesk> hmm... let's say I've got python scraping a bunch of strings and I have a match, but I'm interested in the string that immediately follows the matching string... and I'm going through it in a for loop; how do I refer to the *next* one and put it somewhere? [21:38] <dfrey> Helldesk: Are you searching for one specific line or possibly many lines? [21:51] <Helldesk> but apparently I can do something like the index+1 too? [21:54] <Helldesk> is assert made for these things? [21:58] <dfrey> Helldesk: Just to clarify... Each time you find a matching line, you want the line following that? [21:59] <dfrey> Helldesk: Is the line that follows a matching line to be considered a candidate for matching as well? [22:02] <dfrey> Helldesk: What do you mean by "stored as a number"? [22:03] <dfrey> Do you want the strings as a result or the index of those strings in the original input? [22:03] <Helldesk> well, the thing reads a web page, so the string needs to be converted to a float, after stripping out non-numerical stuff and whitespaces etc. [22:05] <Helldesk> tofloat or something, right? [22:20] <gyeben> do you know any program which can be ran on the pi and is good for detecting dead pixels on my new monitor? [22:21] <steve_rox> detecting dead pixels? [22:22] <IT_Sean> steve_rox: dead pixel detection is normally a manual process. You display a solid color on the screen, and look for a dead spot. You do it first with red, then green, then blue. [22:26] <dfrey> Is that what you meant? [22:28] <Helldesk> is res a list of tuples? [22:31] <Helldesk> what is the re lib? [22:42] <gordonDrogon> there's a place in the UK that will do a 'dead pixel check' on all new monitors - they do charge a bit for it though. [22:53] <gordonDrogon> it uses memory mapped registers. [22:53] <gordonDrogon> if you use wiringPiSetup() or wiringPiSetupGpio() then it uses direct memory access to the GPIO registers. [22:54] <gordonDrogon> the limit is something like 20M gpio accesses/second, so the fastest square wave you could generate might be 10MHz or so. [22:55] <mgottschlag> how fast is switching between input/output? [23:00] <gordonDrogon> pretty fast - like the same time as setting an output bit. [23:00] <gordonDrogon> I was playing with capacitance sensing recently - that involves changing from output to input very quicky - didn't seem to have any issues. [23:25] <Nimatek> Helldesk: You can use next() on a generator to get the next element. [23:30] <wroberts1> gordonDrogon: have you tried select() for waiting on gpio input change? [23:36] <wroberts1> if my wiringPiISR callback fails to be called, can i diagnose with gpio utility? [23:39] <gordonDrogon> you make the pin input and set the pull-up (or pull-down), then you can use gpio to change the pull-up to pull-down or vice versa and that ought to trigger the interrupt. [23:42] <gordonDrogon> means its set to input, value is 1 and set to trigger on a rising edge. [23:43] <gordonDrogon> so it needs to go low then high again to trigger. [23:43] <Helldesk> ugh, I've got the a for loop going through a generator, but how do I refer to the next() from inside the loop?